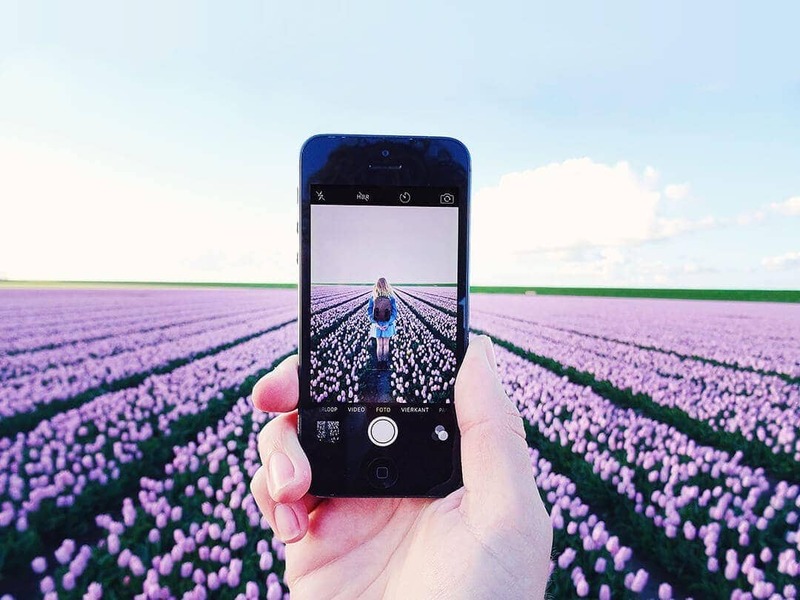 Taking photos while traveling is something we all do. A few years later, you want to look back through those photos and relive those moments again. You know the feeling. ? Now imagine losing all those photos, that would be devastating. ? We’re all concentrated on not losing our wallet or phone, but to us, the memories in a photo are much more precious. 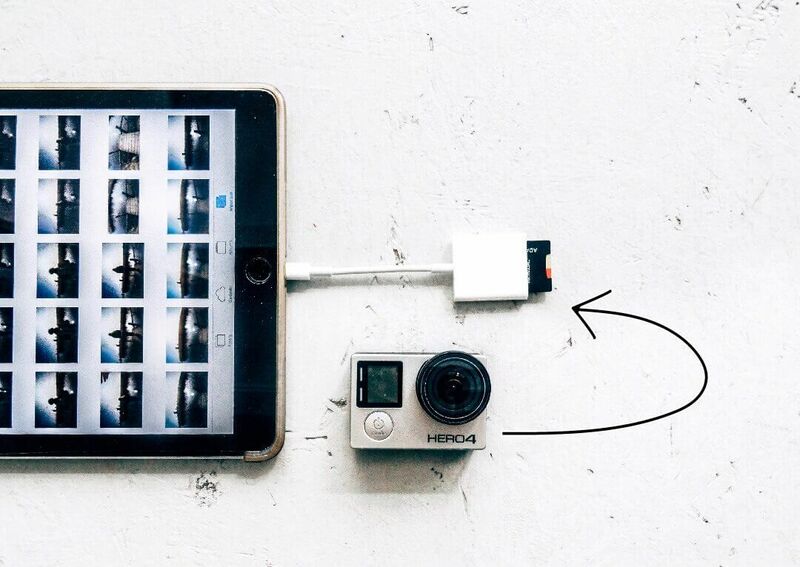 Use our tips to backup photos while traveling. 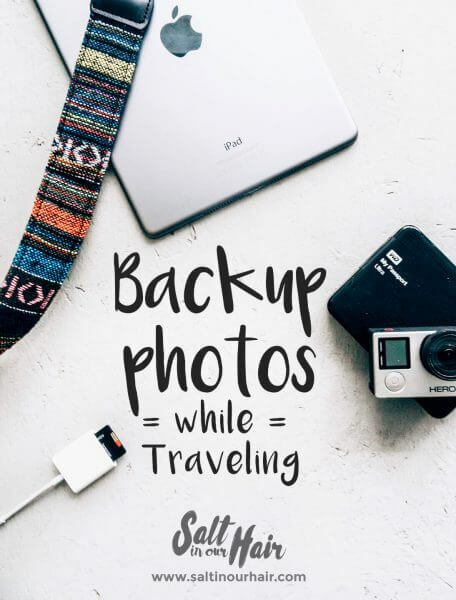 Keeping your precious memories safely revolves around one rule: Backup travel photos twice. Use at least two of the methods we’re going to tell you. Memory cards, loads of them. At our first big trip, we really didn’t want to bring a laptop, because of the weight and safety. Oh yeah.. and our backpacks were over packed already. ? A wireless card reader is very useful if you are not taking a laptop. If you pick a good card reader like a Kingston Wireless, you can plug in your memory card at one side and a portable hard drive on the other. 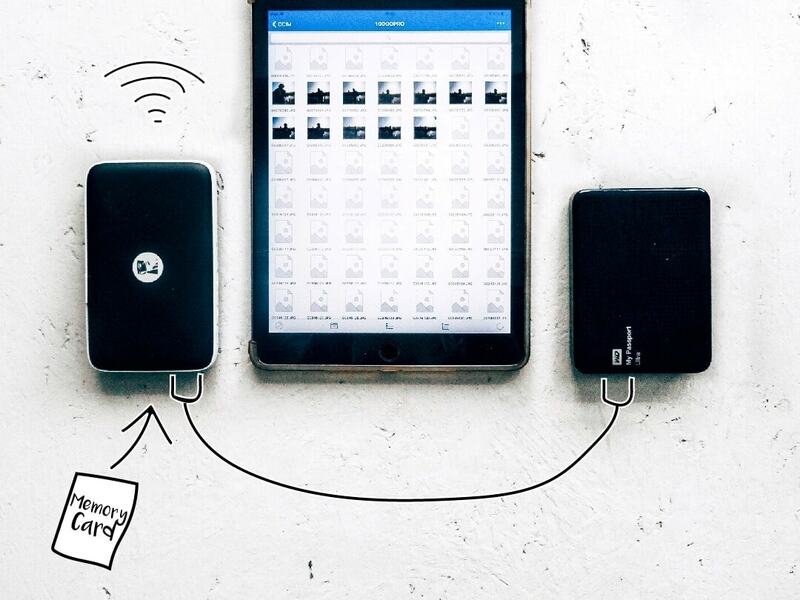 You can transfer photos to your portable hard drive by using a phone or tablet MobileLite app to connect to your card reader using WiFi. This is offline WiFi, which is just a signal between the devices like Bluetooth. See our photo below or this demo. As external hard drive we always take the WD My Passport ultra and recently bougth a second one. They travel the world with us. The Kingston Wireless has WiFi and a battery, which is very useful if you want to watch a movie while you’re on a long bus ride. We use it a lot to transfer our camera and GoPro photos to our hard drive. This is your backup buddy, it makes it possible to travel without a laptop. Connect this hard drive to the Kingston and transfer photos to your hard drive. Bring a lot of them. It depends on the length of your trip and they size of your photos but you can’t have enough memory cards with you. Make sure they have enough capacity, at least 250GB in total. We always take 4 x 64GB SD card. Store them in a shock and waterproof case to keep your travel photos safe. Micro SD cards fits in a GoPro and in a normal camera using a card adapter. Water-Resistant memory card holder to keep your memory cards safe. If you shoot a lot of photos using your phone then make sure you activate a cloud solution. Services like Google Photos or iCloud will automatically start uploading your photos whenever you’re connected to WiFi. There’s a small monthly price tag on it, which you can’t compare to losing your photos. You could also import the photos to your iPad using an Apple Lightning To Sd Card Camera Reader and then upload the photos to the cloud. Tip: Keep in mind, there are places in the world where good WiFi isn’t normal. So if you have to choose don’t only backup online. If you are able to take your laptop with you, we still highly recommend to backup your photos at two places. Get your laptop online and your photos will be uploaded to the cloud automatically, even while you’re away. Nothing easier than that. Backing up your travel photos on a portable hard drive is probably your best and safest option. While traveling, be sure to separate your laptop and portable hard drive. When something happens to one of them, you’ll still have your photos safely with you. Try to buy a hard drive varying from 250GB to 500GB, depending on how much video footage you’re shooting. Videos need a lot more space, after all.